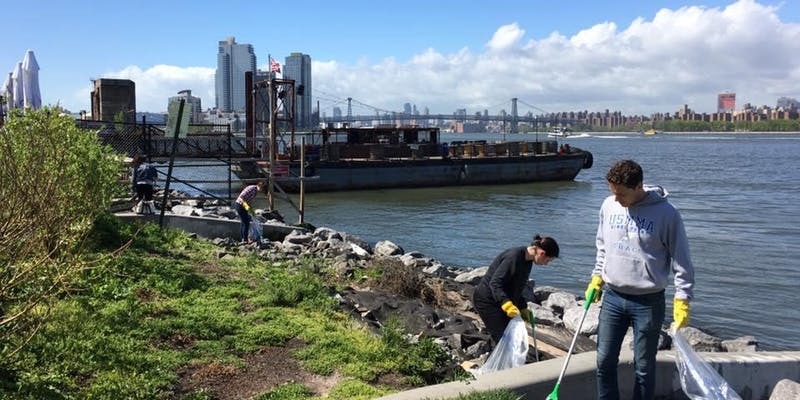 Join the Friends of Transmitter Park and Riverkeeper for a clean up of WNYC Transmitter Park on Saturday, May 4, 2019 for the 8th Annual Riverkeeper Sweep, a day of service for the Hudson River and its tributaries. Volunteers will meet near the mural wall at the WNYC Transmitter Park(Greenpoint Ave and West St., Brooklyn, NY 11222). This Sweep site has neighborhood parking, with limited public parking. We ask all Sweep volunteers to wear sturdy shoes or boots, clothing that they can get dirty, and to bring a hat, sunscreen, a reusable water bottle, work gloves, and snacks. This site is suitable for elementary-aged children with proper adult supervision.